The second series of the much-awaited Petron Limited Edition Toy Car Collectibles is just days away! The Ford GT scale model comes to participating Petron stations nationwide, starting November 30 to December 15, 2018. 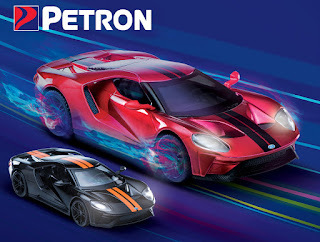 Collectors can redeem their qualified purchases for the Ford GT scale model of high-quality die cast metal for an affordable price of Php 250 each.